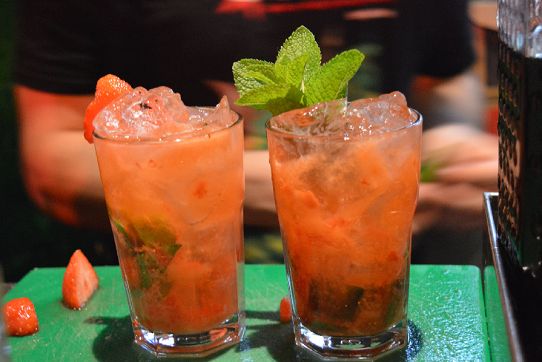 London's freshest, juiciest bar-restaurant - and the place which introduced Mojitos to the UK in the 1990s. 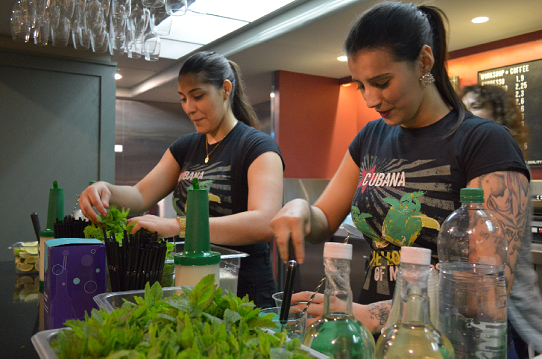 Known as a fun venue, Cubana's fresh tropical cocktails are legendary - and reasonably priced. 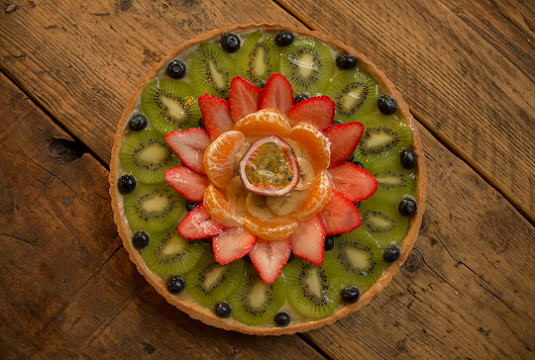 Also famous for slow-cooked Cuban and Latin-American dishes and tapas, freshly- made in-house with sustainable and free-range produce. 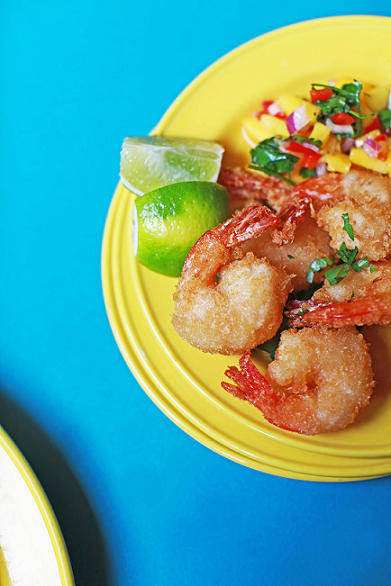 Open late every night, seven days a week including holidays, with live Salsa music. 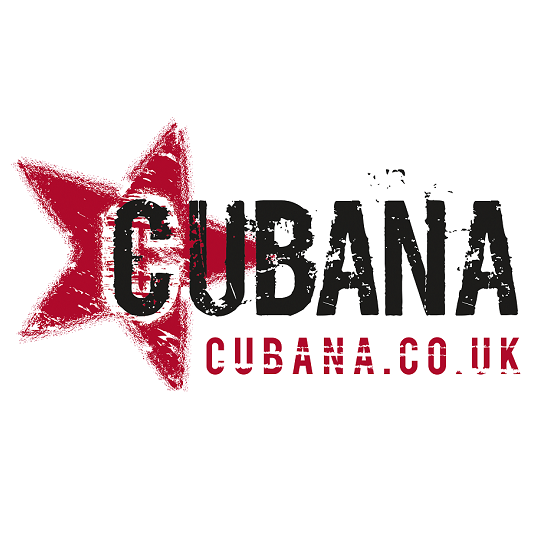 Cubana is child-friendly, great for parties, has a good selection of veggie and vegan foods and is disabled-accessible. 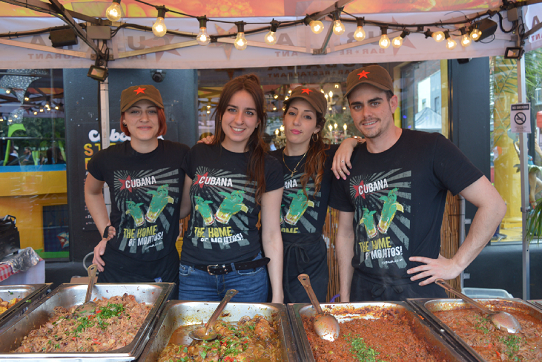 There is a weekday lunchtime Street-food stand using plastics-free, recyclable disposable cups, food boxes and cutlery - and great, reasonably priced lunchtime and pre-theatre menus. 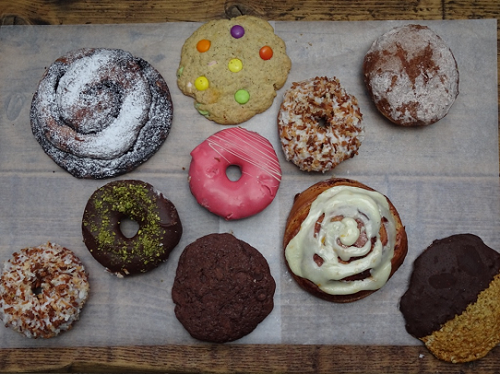 Cubana's sister restaurant at Smithfield also roasts Cuban coffee and has an artisan bakery. Never seen such slow bartenders in my life. Watched one of them spend six minutes making on e drink for one person while tons of people were waiting. And to top it off, he had a bad attitude. Food was mediocre. Only went because of proximity to theatre. The water we had was very good on a plus note - but again, the bartenders need firing or serious re training. What an interesting place - quite unique in this area and lots of fun. Some of the best prawns I have ever add - delicious! Not as good as it was years ago. 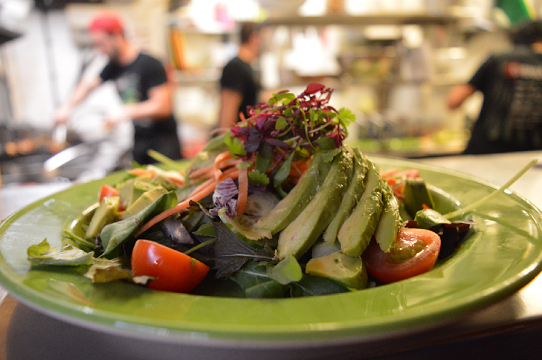 Positives - big portions, fast and friendly service, great music and vibe. Really nice restaurant. 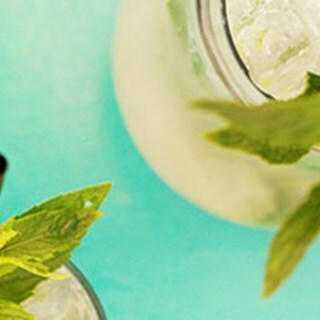 Great drinks too! Negatives - unsure if I just got unlucky with my choices or if the chef was having an off day, but disappointingly the taste just wasn’t there, the food tasted almost bland compared to how I remember it at my last visit. The rice was not good, it was tough, plasticky, reminiscent of microwaved savoury rice. Plantains weren’t crispy, the black beans lacked depth. Just all was not very flavoursome. Would return however to try other dishes, maybe their meat dishes are better (I can’t vouch for those) and it’s just the veggie stuff that isn’t good. Maybe next time I’ll try the prawns. 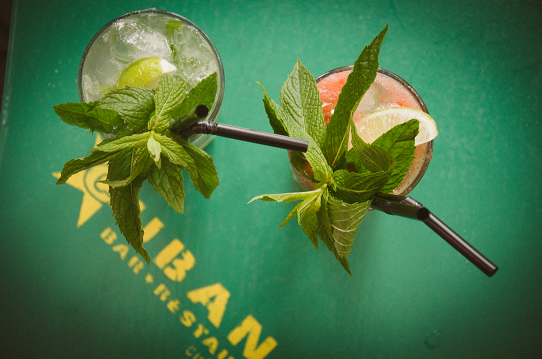 Thank you, we had a really lovely visit to Cubana on Sunday. The food was amazing, fresh, tasty and interesting. The staff were friendly and helpful, but not too much. The atmosphere is lively and the music was great. Food was poor. A Cuban restaurant serving watery flavorless salsa that must’ve changed me from a jar should be ashamed of themselves. This is a fun bar with good tequila but it’s not a restaurant. Food and portions were good value for money. Cocktails were good. Server was great. It was louder earlier in the evening then I thought. But food was great and find place to eat! Service was slow and rude. Just after we ordered more drinks the waiter brought over our bill, which we hadn’t asked for, and told us we had to leave as someone else had booked the table. Service charge was added to the bill automatically. There were so many better ways of dealing with the situation, it’s a shame your staff handled it so badly. It ruined a very good affor us. Carlos was an awesome waiter. We had the best service from everyone working that night. Drinks and food tasted awesome. They also have a lot of options for vegetarians/vegans. Food was so good! Ainhoa delivered outstanding, friendly service, which contributed towards a great evening. Food and drink all AMAZING. The service was very slow and we had to grab the waiters attention to get drinks, order food, and get top ups. However the waiter / waitress were absolutely lovely when they did arrive! 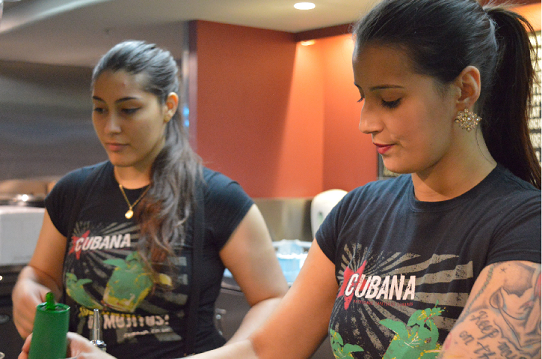 Restaurant Cubana is a nice place to meet family or friends for celebrate special events . Food tasted amazing. Simple but good. Staff v accommodating of our rushing! And fun atmosphere! Will be back! We all liked the food and service. No problems. I absolutely loved it!...Really cool Cuban style decoration and great delicious and the service was very professional. Gladly recommend this place! Thanks for a lovely and great evening. A lovely meal in a lively atmosphere. Wish we had come earlier to have time for desserts. 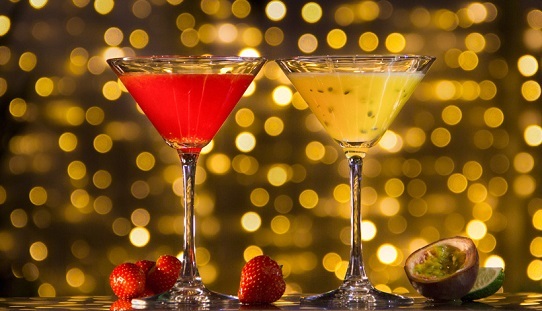 Fantastic food and drinks offers!